TWILIGHT is an action-packed, modern day love story between a vampire and a human. Bella Swan (Kristen Stewart) has always been a little bit different, never caring about fitting in with the trendy girls at her Phoenix high school. When her mother remarries and sends Bella to live with her father in the rainy little town of Forks, Washington, she doesn’t expect much of anything to change. Then she meets the mysterious and dazzlingly beautiful Edward Cullen (Robert Pattinson), a boy unlike any she’s ever met. Intelligent and witty, he sees straight into her soul. Soon, Bella and Edward are swept up in a passionate and decidedly unorthodox romance. Edward can run faster than a mountain lion, he can stop a moving car with his bare hands – and he hasn’t aged since 1918. Like all vampires, he’s immortal. But he doesn’t have fangs, and he doesn’t drink human blood; Edward and his family are unique among vampires in their lifestyle choice. To Edward, Bella is that thing he has waited 90 years for – a soul mate. But the closer they get, the more Edward must struggle to resist the primal pull of her scent, which could send him into an uncontrollable frenzy. But what will Edward & Bella do when James (Cam Gigandet), Laurent (Edi Gathegi) and Victoria (Rachelle Lefevre), the Cullens’ mortal vampire enemies, come to town, looking for her? ABOUT TWILIGHT: Based on the current #1 New York Times Bestselling series (30 weeks and counting) with over 5.5 million books in print by Stephenie Meyer, TWILIGHT is a cultural phenomenon, with a dedicated fanbase that eagerly awaits this movie. There are over 100 fan sites devoted to Twilight, and it has been chosen as the New York Times Editor’s Choice, a Publishers Weekly Best Book of the Year, Amazon’s “Best Book of the Decade…So Far”, Teen People’s “Hot List” Pick, The American Library Association’s “Top Ten Best Book for Young Adults” and “Top Ten Books for Reluctant Readers” and has been translated into 20 languages. Critically acclaimed director Catherine Hardwicke brings to life this modern, visual, and visceral Romeo & Juliet story of the ultimate forbidden love affair – between vampire and mortal. U.S. release via Summit Entertainment, November 21st, 2008.
no, it’s only twilight. that’s why it is called TWILIGHT. whens it coming out in brisbane? I’m just dyeing to see the movie!!!!!!!! and the books are so great!!! yea its only twilight but yea Im SOO excited!! yay, like FIVE peeps are coming with me to the movies to see it!!!! yay!!!! have you seen he “new” trailer on the homepage??? haha, YEAH!!! No, but you can watch them on you tube. just type in twilight tv spot #1, then #2 and 3 and 4!!!! not really! lolz 🙂 yay, all my friends can come with hme! new 8 minute clip frm twilight! wow i didnt know twilight was so pourlar. i thought i was the only one reading it, it wasnt untill i saw a couple of girls at my school reading the book, after that i saw heaps of people reading even boys. this book is wonderful and exciting cant wait for the movie though the movie prob wont have everything thats in the book. thats why its good to read the book first! lol there are so many comments on the site its amazing, twilight really is the new harry potter. pshhh. screw 90 days. there’s only four left!!! Does anyone know if Edward CAN read peoples thoughts in the movie? You can only read the Twilight series 10 times before you want more!!!!!!!!!!!! lolz. he is supposed to read thoughts, but they cut a bunch of stuff out, so idk. i would think they would include that seeing as though that is how he finds bella in Port Angeles. I AM YOUR #1 FAN!!!!!!! The movie was GREAT when it comes on video i am going to buy it and watch it every day!!!!!! Jacob Black is SOOOOOOOOOOO HOT!!!!!!! I really want to meat you!!!!!!! FROM YOUR #1 FAN!!!!!!!!!!! cant wait for sequel coming out in the summer! i read all the books like 6 months a go in one week. and I hope it will come out soon as possible!!!! omg i saw twilight 3 times and i loved so freaking much. my birthday is coming up in april and im having a twilight birthday party. oh and Edward i think u r sooooooooooooooooooooooooooooooooooooooooooooooooooooo freaking hot that it’s not funny. i totally would what to make out with you. will you go out with? UR FUCKEN HOT !! ROBERT ! JACOB U LOOK HOTTER WITH SHORT HAIR!!!!! Im was so imppressed when i watch this movie. 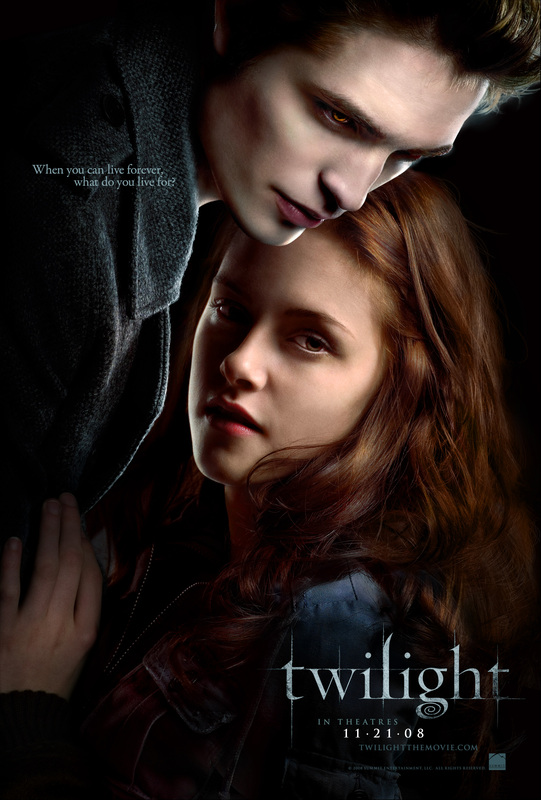 i watch this movie with my boyfriend at MALL of ASIA..
what’s the next series of twilight..?? I had more fun being a crazy fangirl following the making of the movie, all of the latest behind the scenes, watching interviews, seeing sneak previews, listening to twilight podcasts, watching twi-tube videos, reading fan fiction, and becoming aquainted with the cast than I did watching the actual movie!! so…do u think new moon will live up to the xpectations? Omg bella so lucky 2 b around dat hottie. i would love 2 take ur place. da movie was freakin awesome. itz my favorite. edward hopefully u dont hav a girlfriend cause im waiting 4 u. Just kidding. lol.so anyways , wat was isaying o ya, i love u man.ur books r da best. hottie hotie hottie edward.. I love you so anyways Chow BaBY..
i love twilight end i miissss love love love love love……………………….?????????? Log in | 52 queries. 0.966 seconds.